Restoran Wan Tan Mee, Curry Mee, Bubur & Nasi 168 is one of our favourite brunch spots in Pudu. It possibly also has one of the longest names for a shop / stall too though I think most of us just call it Restoran 168. 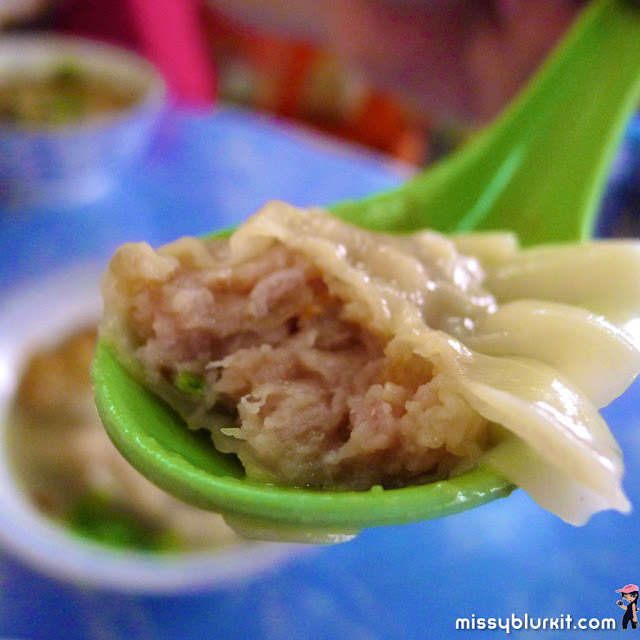 Not checked out their rice (nasi) or porridge (bubur) because we are always back for their wantan mee and curry mee. A simple shop on the five foot way where one can get a good view of the folks cooking your food or prepping the ingredients for the next business day. 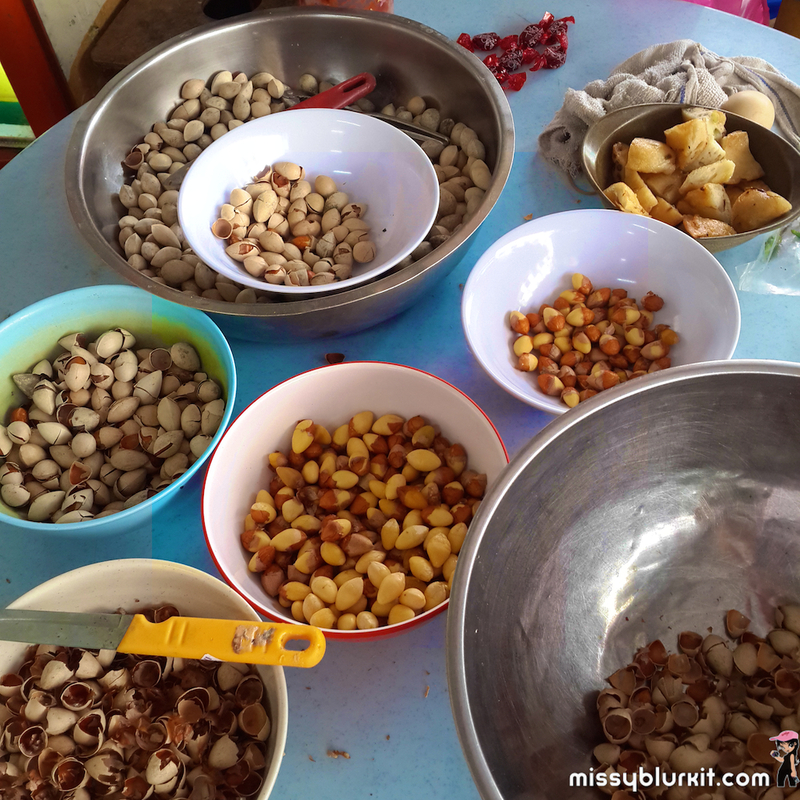 They make their tong sui, yong tau foo and char siew on their own. Nothing fancy but just good homely taste. Good selection of drinks. The usual works of coffee and tea are available. 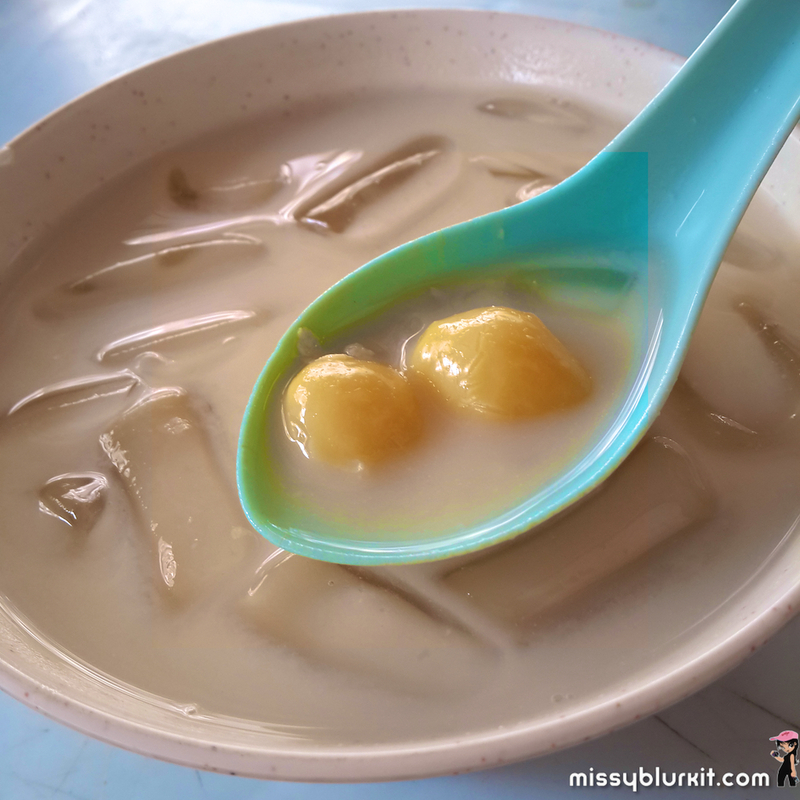 A personal favourite will be coconut and Fuchuk yimai (barley drink with gingko and beancurd skin). 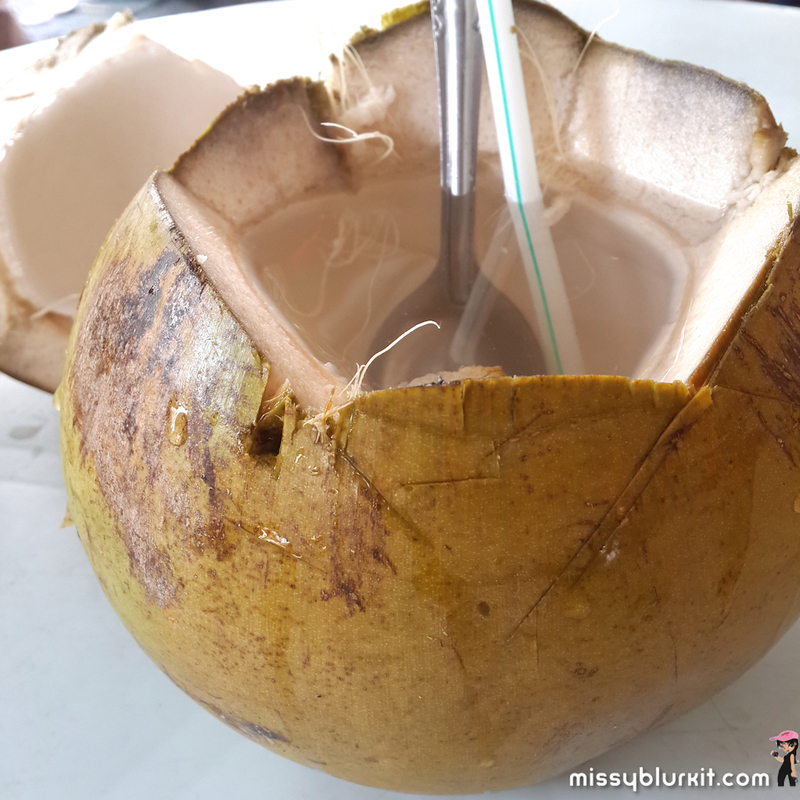 Perfect hydration in the current hot spell! Fuchuk yimai is highly recommended. Creamy goodness with gingko that they peel on their own rather than the instant or frozen ones. The wantan mee is my regular must have. 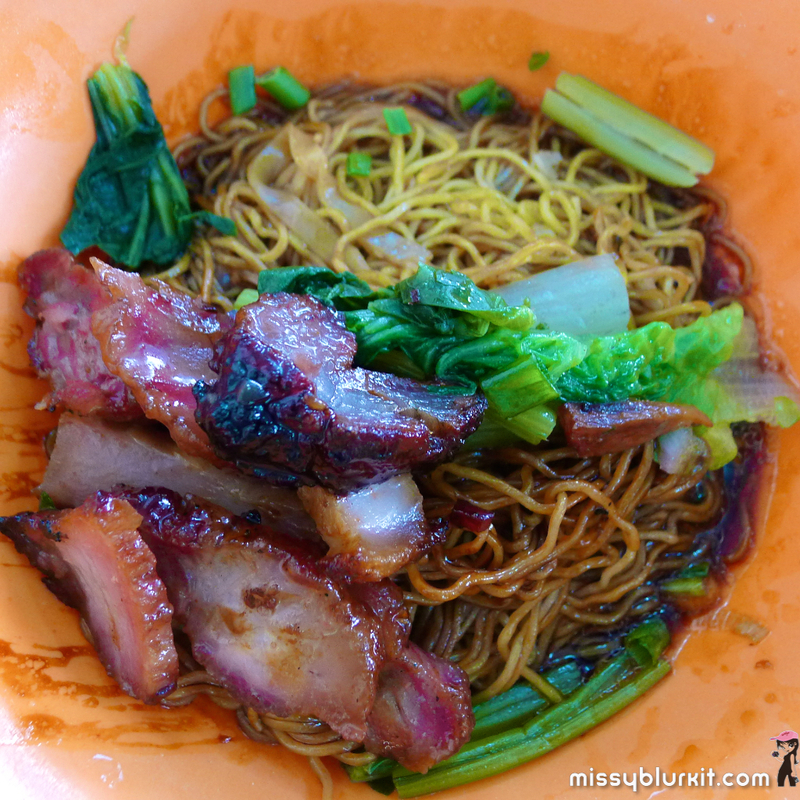 Even though the noodle is not QQ the way I like my noodles to be, the homemade char siew and sauce makes up for it. 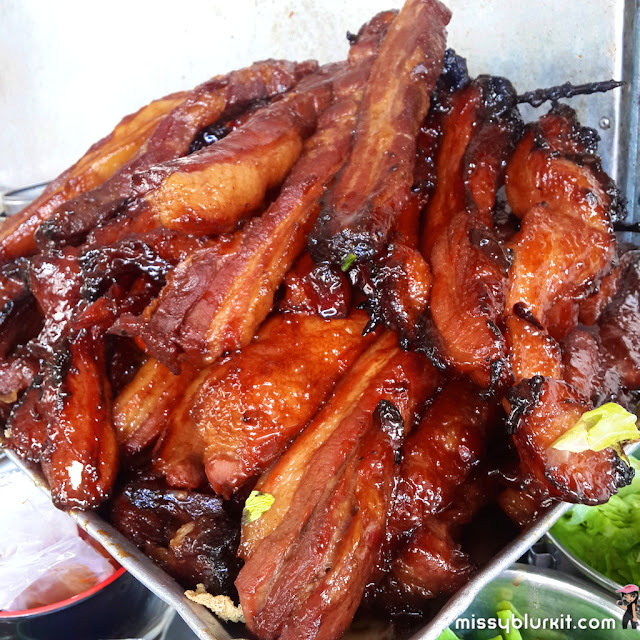 The char siew is not too sweet or too burnt with a lovely balance of fat and meat for a nice bite. 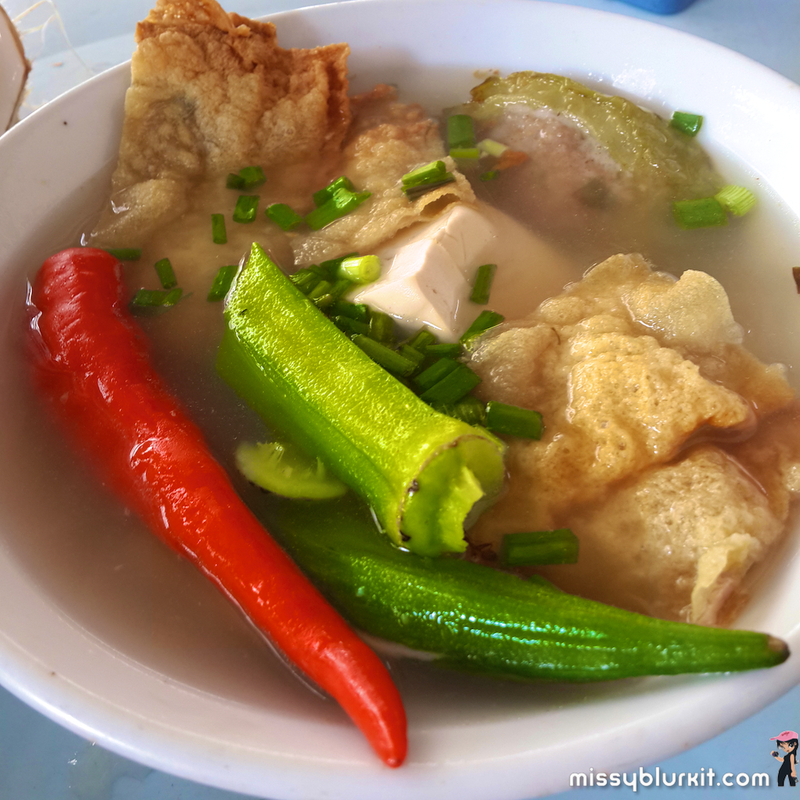 What is also interesting is the serving of vegetables for our noodles varies from time to time but it is definitely a nice welcome from the usual choy sum at most stalls. 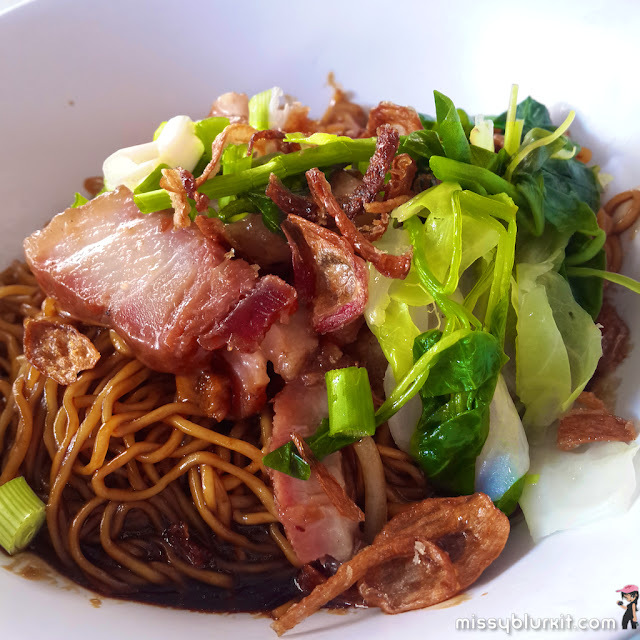 Regular noodles tossed with their char siew sauce topped with shallots, homemade char siew, spinach and cabbage. The hubster's all time must order is the curry laksa. The curry is rich and one might just be slurping up every bit of the gravy for its flavours. It is spicy, creamy, savoury and 'sweet' in each mouthful. 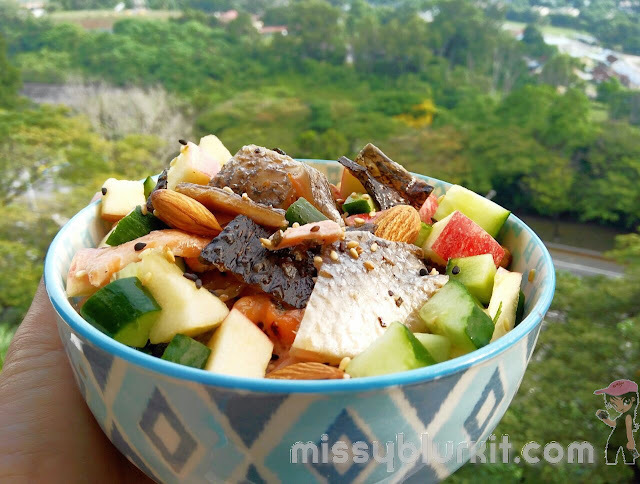 Sweet is not MSG or sugar based. 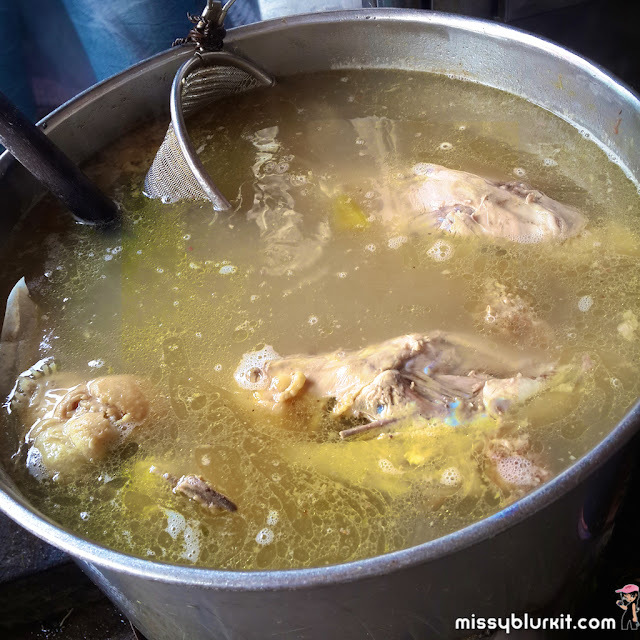 Instead, chicken soup is added into their curry paste. Standard bowl of noodles is a generous serving of beancurd, pork skin and cockles. Chicken broth hat is added into the curry noodles. And if you like yong tau foo, these are simple homely ones. Good to be eaten on its own or as extras with your noodles. The suikow (dumplings) are recommended if you like meaty ones! Yong tau foo options are quite varied. 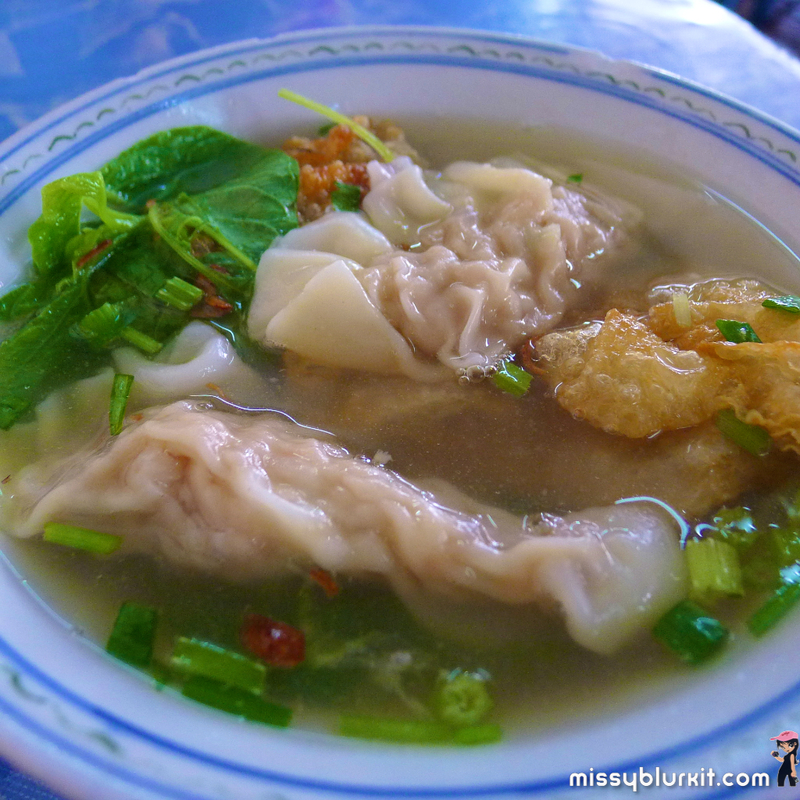 Dumplings - note the generous serving of vegetables in the soup! A nice healthy touch that I appreciate. I still have not tried out their rice or porridge but will try to make it a point to inquire or at least check it out on my next visit. Must admit I have not seen anyone eating rice or porridge. 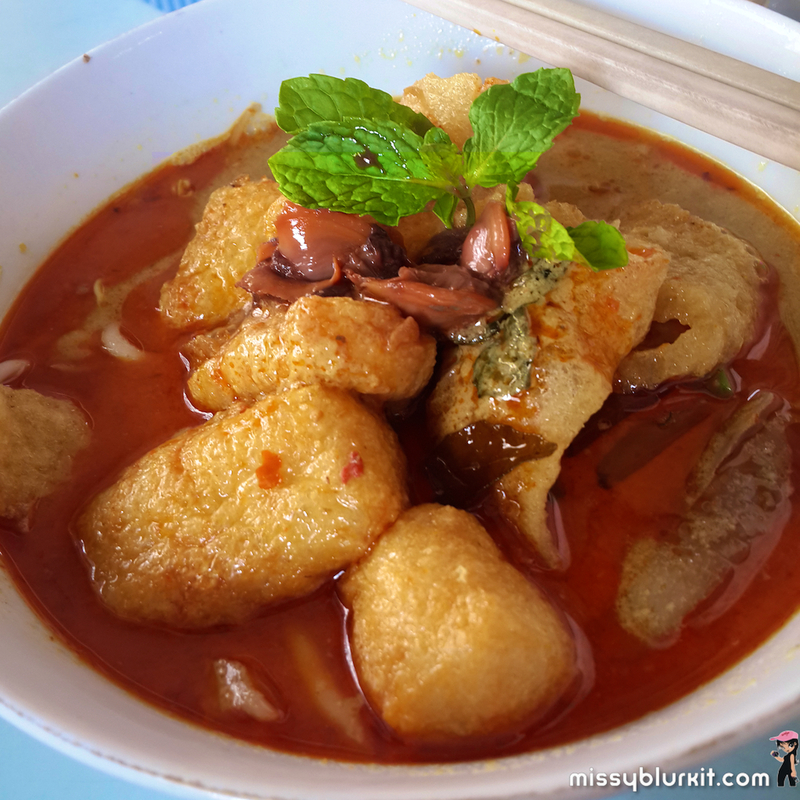 Perhaps they are options for those who want to eat yong tau foo? Well, I reckon my next visit will reveal the answer. 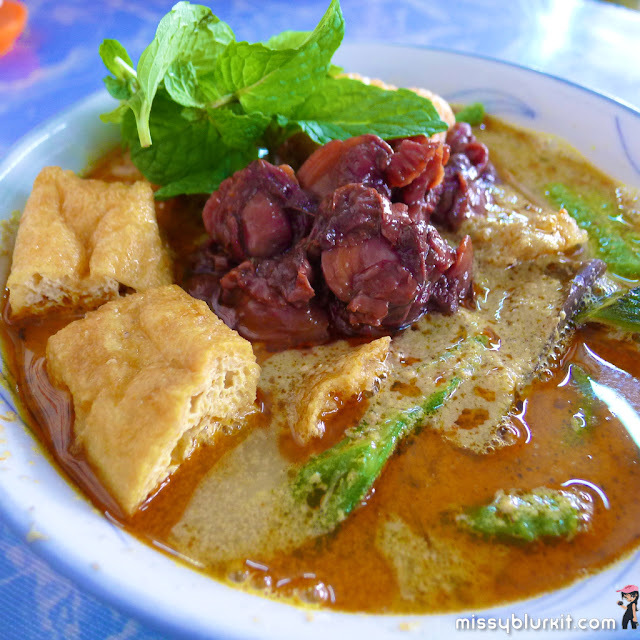 Full set of pics in the album Restoran Wan Tan Mee, Curry Mee, Bubur & Nasi 168. THANX for reading. Do also head over to the following channels to socialise!